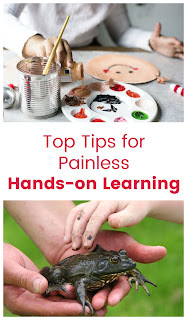 So we all know the benefits of hands-on learning, if not go back and read here. And we all want those benefits for our kids. But how do we fit it all in? How do we find time to do the task and clean the mess? And what about planning, how do I do that? Plus the mess itself! 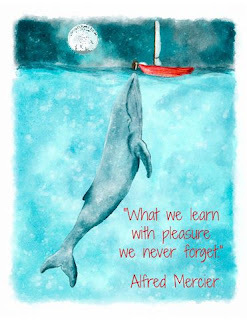 There are lots of reasons we don't do more hands-on learning. I'm guilty of it too; especially when it comes to history! The 2 main things that come between us and the benefits of experiential learning are TIME and MESS! Some of us have the time but hate the mess. Others don't mind the mess but really don't have the time to prepare. So lets look at some ways to make things easier for both groups! Plan - Wait, what? You may be asking, isn't this supposed to take less time? Well, yes, but you have to put some time in at the beginning to save time in the end. Plan the activity you want to do and write it down. Write down when you want to do it and the supplies you need for it. If you don't write it down you won't set aside time for it, and you won't have what you need meaning an extra trip to the store or more likely, you skip the activity. Now if it is written in your lesson plans you can leave more time on that particular day to complete the activity. You can also see what you need before you get that day. If it is something you have never done, familiarize yourself with the instructions ahead of time. Bonus tip, gather all the supplies you need Sunday, and store them together until you are ready for the activity. Now when you see an activity on the calendar you won't have to stress out about not being prepared or having time to do it. Cover Multiple Subjects - Another great way too save time and maximize hands-on learning benefits is to use activities that cover multiple subjects. If you are doing a science experiment, have the kids write a report as well or at least fill in a scientific report sheet. Now they are practicing writing or at lest handwriting as well. It would be pretty easy to sneak in some vocabulary too. The same can be done with a history project. Have the kids create a presentation of someone from the past complete with costume. Not only will they learn about the person what they were responsible in history, but they can also learn about that time period and geography as well as organizing a presentation. You can have real fun with this too when you make it edible. Then the project involves the core subject, plus food preparation, and doubles as a snack! Use for Multiple Kids - This is something many homeschoolers already do, look for curriculum that will work for multiple ages. 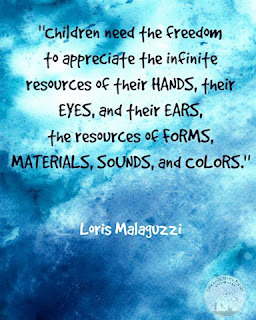 The same can be done with hands-on learning. Crafts can be simplified for younger kids or older children can help the younger ones thus learning some responsibility too. 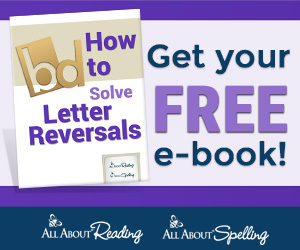 If an older child is using magnets to work on spelling, a younger child might work on letter recognition. Go Outside - Simple enough. Learn using sidewalk chalk outside or throwing a ball back and forth or one of our favorites, shooting the answers with Nerf guns. Take a nature walk and observe. So much science can be learned with good observation skills. Teach Kids to Clean Up - Here we go combining skills again. You found a really cool, science experiment, sensory bin, or general learning activity, but you know it will be messy. Let your kids enjoy that mess as long as hey clean it up. Even preschoolers can work a small broom and dustpan or a rag with a spray bottle of vinegar. They might not clean it perfectly, but it gets the bulk done for you, and they get to practice some life skills. Use Ancillary Opportunities - That's right, take advantage of all those field trips and co-op days to do things you really don't want to deal with at home. 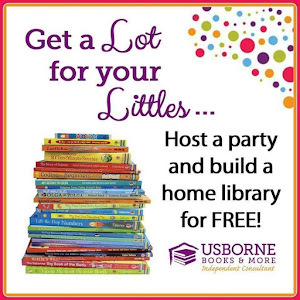 Even just sharing duties with another mom who doesn't mind the mess will cut down on work for you plus kids will have more fun learning with their friends! Implementing these few tips should make hands-on learning manageable for those with little time and those who don't enjoy the mess. And if you can manage the time and mess hands-on learning really can be fun, even for history! 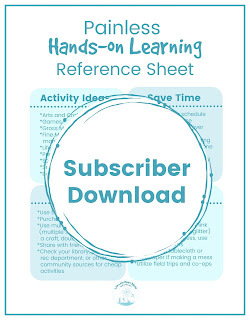 If you are looking for even more ideas on adding hands-on learning to your already messy, busy week, follow along on email and grab this printable by joining our Free Resource Library!